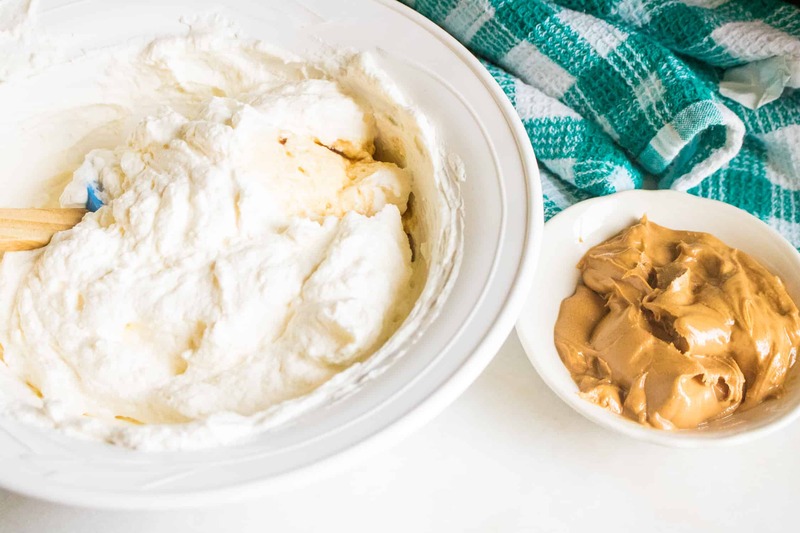 No-Churn Peanut Butter Ice Cream is so easy and simple to make, you’ll wonder why you ever bothered with the store-bought variety. 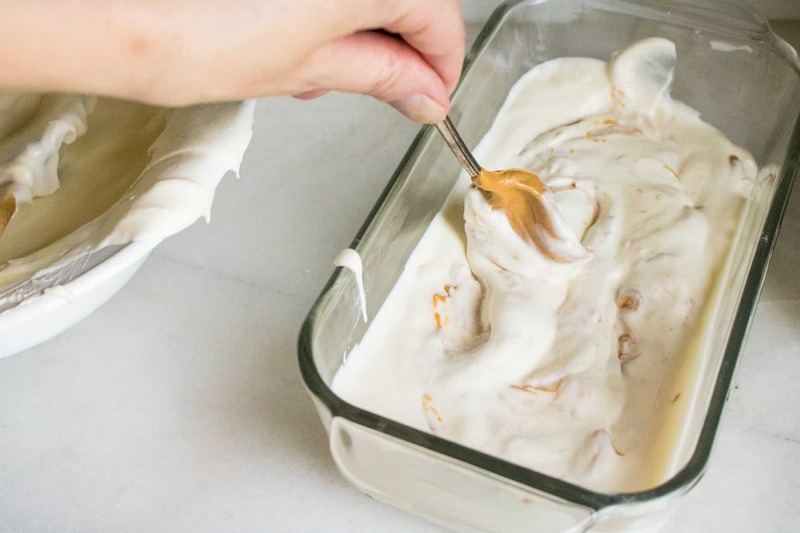 By mixing together just two simple ingredients — heavy whipping cream and sweetened condensed milk — you’ve got a perfect ice cream base. And no ice cream maker required! Then, all that’s needed is to simply add your favorite flavors and mix-ins to create the ice cream of your dreams. In this recipe, we’re chocking it full of peanut butter goodness. So rich, so creamy, and so tasty! There’s just something special about making homemade ice cream. It honestly tastes better knowing you did it yourself. Because it is so easy! No labor-intensive churning or special equipment needed to make this amazing frozen treat. A standard-issue hand mixer takes care of the work, and then it’s simply spread, freeze, and eat! 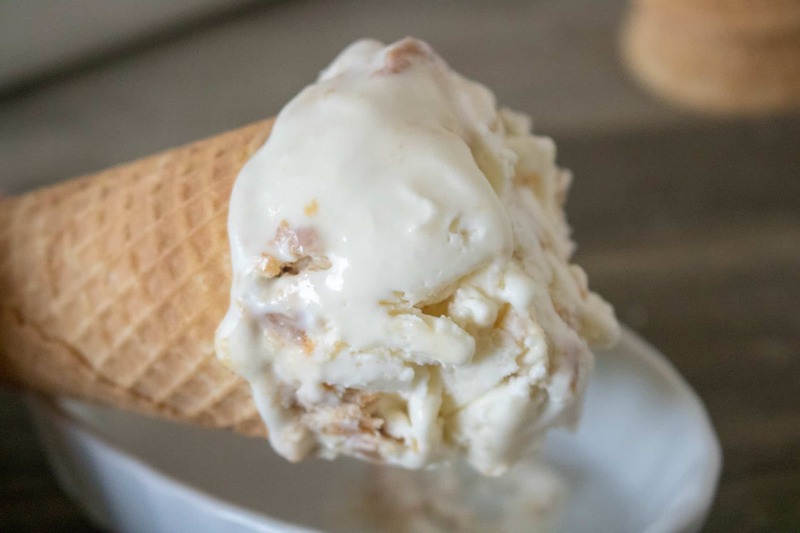 No-Churn Peanut Butter Ice Cream is also a great make-ahead solution. 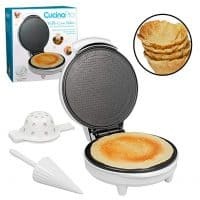 It’s the perfect dessert for busy weeknights when you’re juggling homework, baths, and making lunches. Just pull it out of the freezer, let it thaw a bit and serve it up. 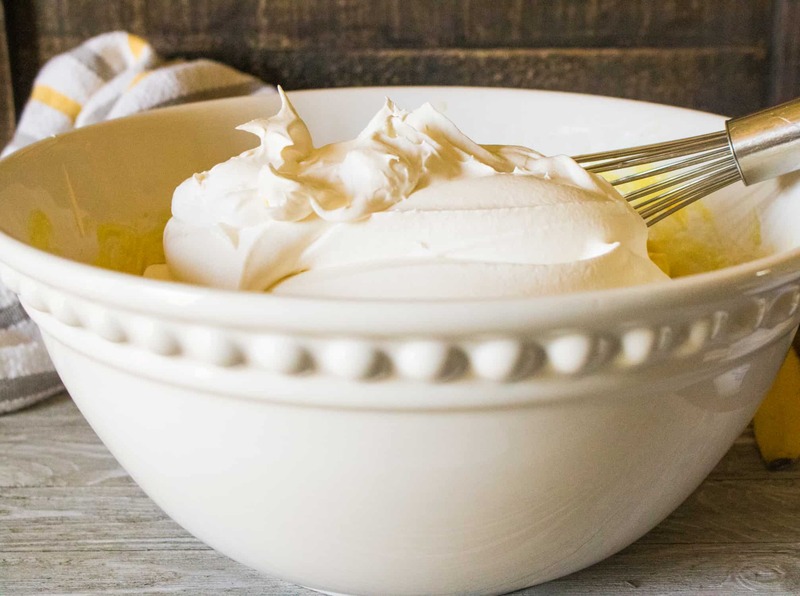 Traditional churned ice cream often includes eggs, but this no-churn ice cream recipe is egg-free, which means those with egg allergies can indulge in their favorite ice cream flavors, worry-free. 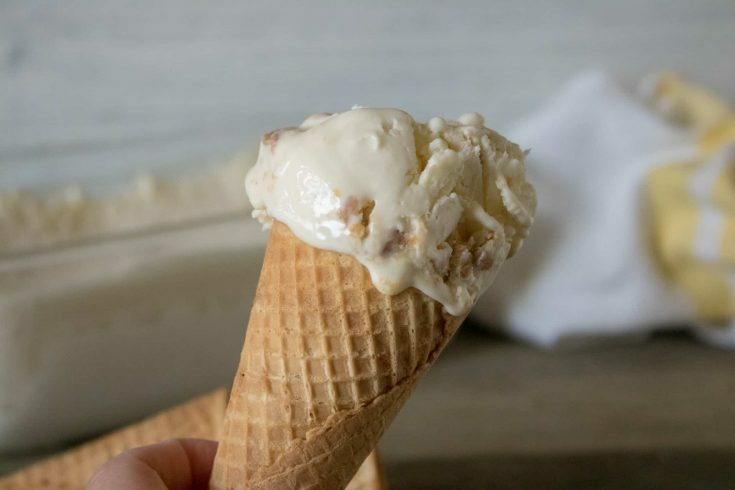 If you love No-Churn Ice Cream as much as I do, then you’ll want to try these other delicious recipes. In the mood for ice cream but just absolutely have to have your chocolate fix? Try this Double Chocolate Chunk No-Churn Ice Cream. Easy No-Churn Strawberry Ice Cream recipe is bursting with sweet and juicy strawberries. Looking for a fun, festive dessert that will delight the kids? This No Churn Bubble Gum Ice Cream will do just that! And it’s perfectly okay if the grown-ups want a spoonful or two as well. Step #1: With a mixer, beat heavy whipping cream until thick. Step #2: Pour in sweetened condensed milk and vanilla and fold in until smooth. Step #3: Next, pour half the ice cream into a freezer safe container. Swirl in half of the peanut butter with a spoon or a knife, then repeat with another layer and the remaining peanut butter. Step #4: Freeze for 5-6 hours or overnight. When it is time to serve, remove from freezer and let it sit on the counter to soften for 5-10 minutes before serving. 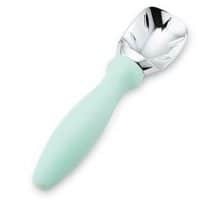 Check out all our other 18 Flavors of No-Churn Ice Cream! 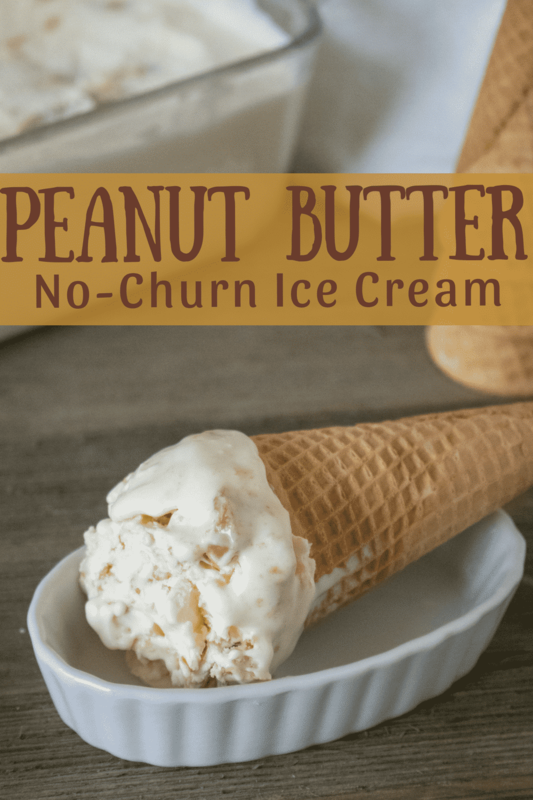 This recipe for No-Churn Ice Cream is easy to make and chock full of peanut butter goodness! With a mixer, beat heavy whipping cream until thick. Pour in sweetened condensed milk and vanilla and fold in until smooth. 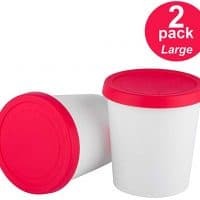 Next, pour half the ice cream into a freezer safe container. Swirl in half of the peanut butter with a spoon or a knife. Repeat with another layer and the remaining peanut butter. Freeze for 5-6 hours or overnight. When it is time to serve, remove from freezer and let sit on the counter to soften for 5-10 minutes before serving.